So for my own benefit, here’s the steps you need to take to get analog inputs working with a Raspberry Pi. The first thing you’ll need is an MCP3008. 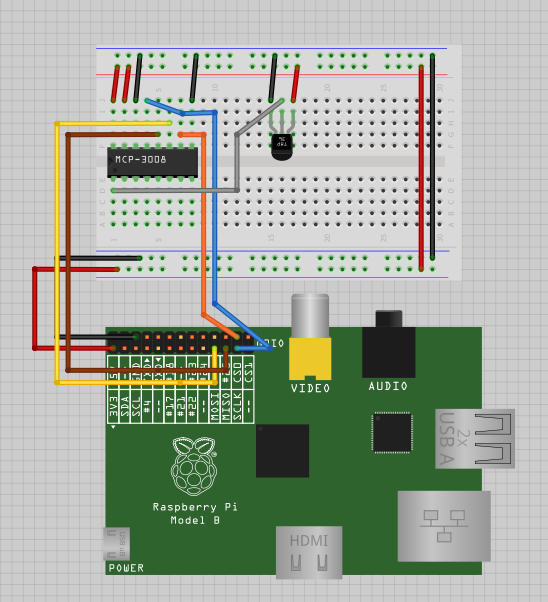 Using jumper wires, hook it up to your pi using this diagram. Power your RPi up and run the following commands to get it all set up. Then run this to make it more permanent. Now for the real meat of it. You’ll need these packages for SPI and the WiringPi library makes things a whole lot easier for us. Now everything should be good to go, now for the python. You can debug this any way you like, but my favorite way to do it is using the program geany. I like to start up a VNC server with root so I don’t get into any trouble with the GPIO permissions. Hey! This post was written a long time ago, but I'm leaving it up on the off-chance it may help someone, but proceed with caution. It may not be a good idea to blindly integrate this code or work into your project, but instead use it as a starting point. I followed your blog and tried. 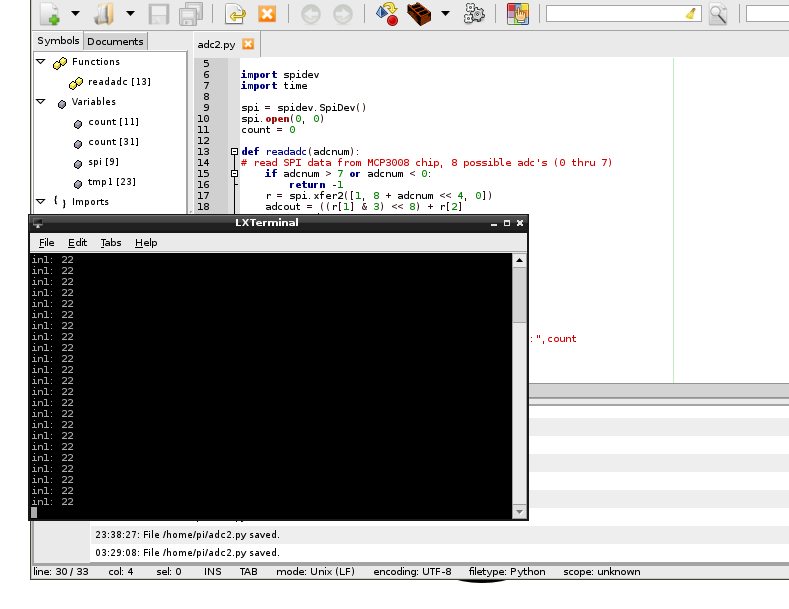 I think python-imaging, python-imaging-tk, and git is not necessary.